8 Soul-mate Signs A lot of us at some point will question- Have I met my soul mate? How do I know if this is my soul mate? Is my soul mate out there?. Well first off lets go back to basics of soul mate. 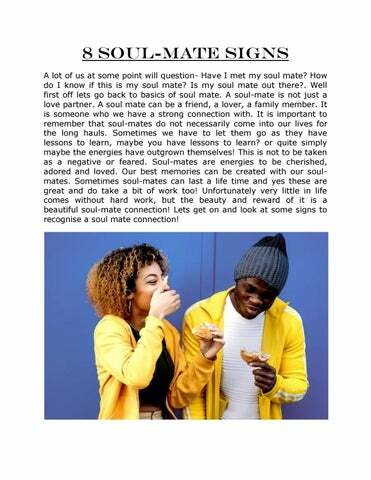 A soul-mate is not just a love partner. A soul mate can be a friend, a lover, a family member. It is someone who we have a strong connection with. It is important to remember that soul-mates do not necessarily come into our lives for the long hauls. Sometimes we have to let them go as they have lessons to learn, maybe you have lessons to learn? or quite simply maybe the energies have outgrown themselves! This is not to be taken as a negative or feared. Soul-mates are energies to be cherished, adored and loved. Our best memories can be created with our soulmates. Sometimes soul-mates can last a life time and yes these are great and do take a bit of work too! Unfortunately very little in life comes without hard work, but the beauty and reward of it is a beautiful soul-mate connection! Lets get on and look at some signs to recognise a soul mate connection! 1) Sense of knowing/Deja vu Ok you may instantly feel you have met and known this person before. You may feel that you have been somewhere and shared memories before with this person. Usually when this sign pops up you will find the conversation will flow with Do I know you? Do I know someone who knows you? There is a feeling of excitement and you will find when you have this there is a case of curiosity and exploration that will follow not long after. 2) Perfect timing You meet at the “right time”. You may find that there are connections you have but find it strange that you have not met to now. Perfect timing may be due to the case that you have had lessons to learn before your soul-mate connection has been presented to you. You are able to recognise and realise that this soul-mate connection has come in with reason and purpose. Ultimately the timing fits like a glove. 3) Communication You communicate freely and without filter! You will find there are peaks of buzzes with communication here. You may feel that you can read each other without having to say anything, be it a cheeky look or glare! You may even find you are mind reading too! Is this your psychic side kicking in? how does your soul-mate connection always know when you need a cup of tea? or a bar of chocolate?…its because that soul-mate connection simply is… 4) Spiritual connection You feel like you can communicate without saying anything. Its more than that though, you may share each others happiness and feel each others pain. You may feel you have lived many lifetimes together. 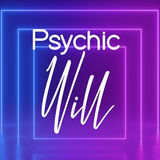 With a spiritual connection in your soul-mate relationship you may find sometimes words cannot completely describe the way in which you both conduct your relationship. 5) Silence Silence is a great one. To put it plain and simple you can be around your soul-mate connection without any awkward pauses of silences.